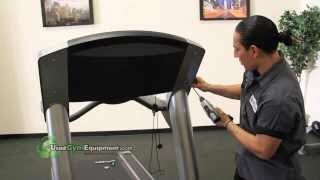 The Life Fitness 97T Treadmill is a top-of-the-range cardio machine, suited to any commercial or high-end home gym setup. Featuring a powerful 4.0 HP motor, and strong welded steel frame, this product is a powerful (not to mention, heavy) beast! Fitness Savvy took a look online but struggled to find any user reviews of this exact product. However, we have collated as much useful info as we could find, so continue reading to find out more! 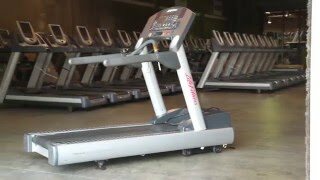 Firstly, it is certainly worth noting that the Life Fitness 97T Treadmill Price varies greatly between retailers. We recommend you check back at Fitness Savvy to compare prices before you buy, to ensure you’re definitely getting the best deal! If you’ve lost it, you can check out the Life Fitness 97T Manual here. It can also be handy to take a look at before purchasing, so you can see what you’re getting yourself in to! 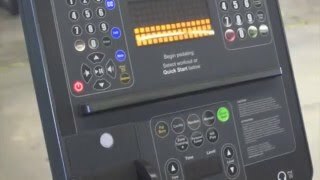 While we were unable to find any user reviews of the Life Fitness Integrity Series Treadmill (97T), we did find some expert opinions of the product. Treadmillreviews.net gave this product a solid 4 out of 5, praising its diverse workout programmes, and seamless smartphone integration. Check out some YouTube videos of the product in action, too, before you part with your hard earned cash! 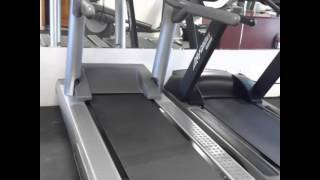 We’ve included the Life Fitness 97T Treadmill Manual to help you with this product.